We have great news for you guys! 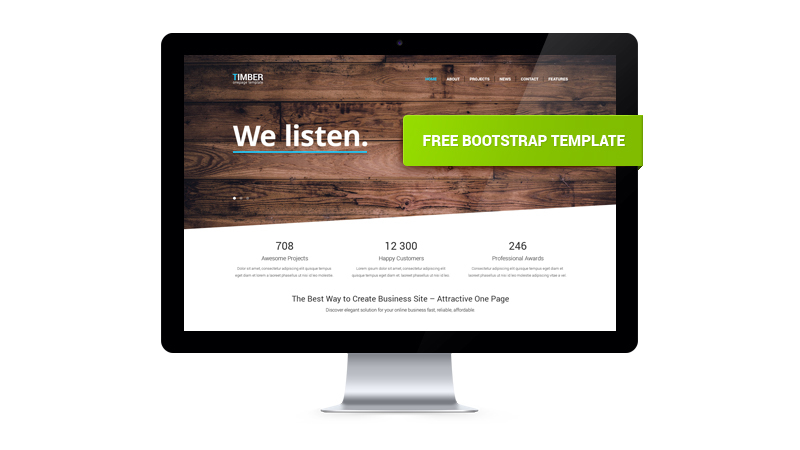 As we promised earlier, we are back with the HTML version of Timber One Page Bootstrap Template – amazing freebie for your next web project! If you want to become noticeable online, this ready-made solution will fulfill all your needs to start an effective and catching website in minutes. The main concept of this template underlies the smart balance between attractive and user-friendly design as well as powerful and easy-manageable functionality. Possessing modern style and optimal look, we implemented the minimal layout with the wooden patterns which make the overall design visually structured and pleasant to the eyes. 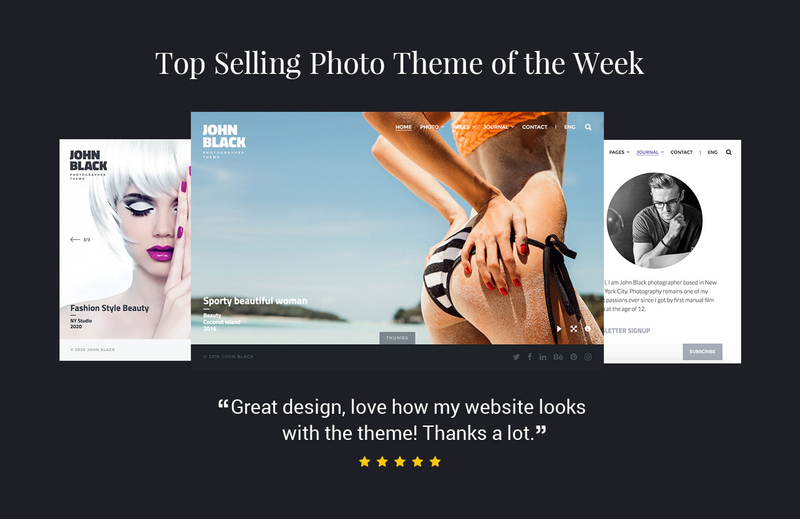 The main slider, counters, icons, widgets, and fonts are adding more edgy touch to this template, delivering content to the user in a clear manner. With the help of a one-page layout, you can present your web project in an original way, including all necessary information within a single place. So if you are going to set up a professional website and concentrate your visitor’s attention on the main idea of your web project – our goodie is created just for you! Moreover, Timber is based on a Bootstrap framework which means you can use it in any device whether it is a desktop, laptop or mobile phone. Being involved in this diverse world of web design, I enjoy writing various blog entries regarding WordPress and all around topics, starting from its functionality and capabilities to the latest news and updates. Also I’m always ready to share some useful materials and free stuff that can be really helpful for your website maintenance. Hi, I have been trying to pause the autoplay in the slideshow. Any help would be appreciated! clarification: i am trying to stop the default autoplay in the slideshow.